Whether you’re trekking up north to visit friends and family, or heading to south Florida for a beachy vacation, spending hours driving on I-75 can be a real drag. Thankfully, there are some great pit stops just off the interstate that capture the beauty and culture of Natural North Florida. Our family-friendly guide to I-75 highlights the best attractions to fit your interests and busy driving schedule. The southbound rest area near Exit 382 provides a panoramic vista of Paynes Prairie Preserve State Park. This breathtaking view is only a small glimpse of the 21,000 acre savanna, home to hundreds of species of birds, reptiles and mammals. 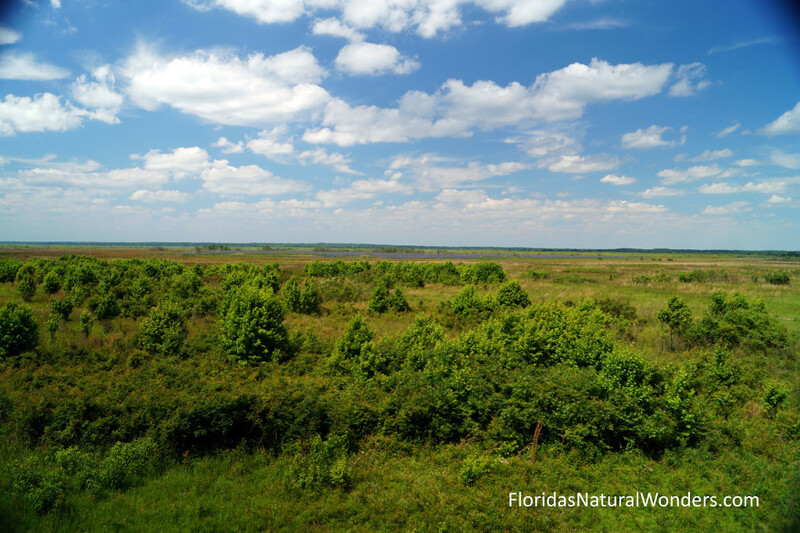 Enjoy this unique Floridian landscape, composed of swamps, marshes, and grasses from an ADA-compliant viewing platform near the rest area. It’s the perfect break to move around, take in some fresh air, and look for wildlife with the kids. If you find yourself wanting to explore the park more, the 2.8 mile Bolen Bluff hiking trail is 10 minutes south, off Exit 374, and a generally good place to spot alligators. 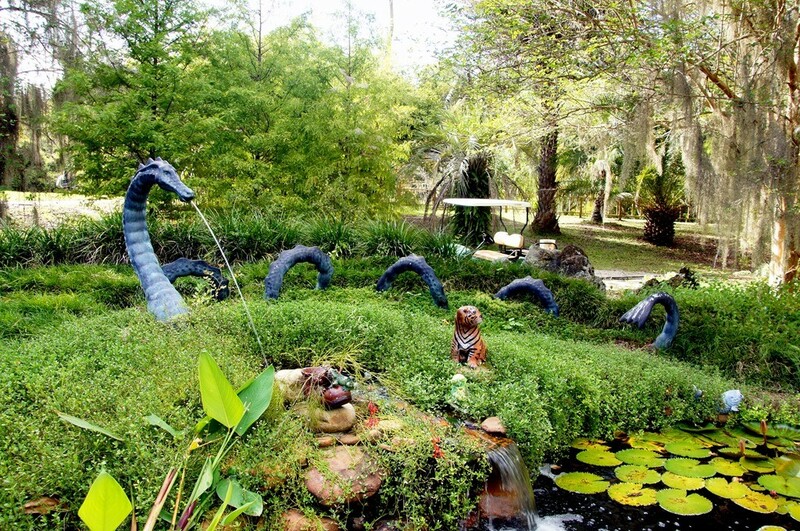 Located only one mile west of Exit 384, Kanapaha Botanical Gardens offers travelers respite from the monotony of hours or days on the road. A 1.5 mile paved walkway takes visitors through 24 collections of beautiful plants, including the state’s largest display off bamboos, and the largest herb garden in the Southeast. Kids under 13 are only $4, and under 5 are free. Bring fido along (on a leash) and have your packed lunch in the peaceful picnic area. When you muster the energy to leave such a serene setting and get back on the road, at least you’ll feel rejuvenated and refreshed. Curious about the springs of Natural North Florida? Ginnie Springs Outdoors in Gilchrist County is an impressive pit stop just 20 minutes from Exit 399. These freshwater underground aquifers feed into the Santa Fe River and remain a constant 72 degrees year round. Unparalleled clear blue waters have been enticing swimmers and divers for generations. Take a walk around the park, or slip into your swim suit for a quick dip in the refreshing, family-friendly swimming holes. Make an afternoon out of it by taking a picnic, hanging by the children’s play areas, or even renting a kayak for an hour or two. Gainesville has something to for all the various areas of interest in your family. Take Exit 387 and bypass the chain restaurants to discover the array of options along University Avenue and beyond. Sports fans ought to enjoy a visit to the University of Florida campus. On most days, the Ben Hill Griffin Stadium is open to the public. Stretch your legs walking around “The Swamp”, pose for a photo with the Bull Gator statue, and take in the tradition of Gators Football. 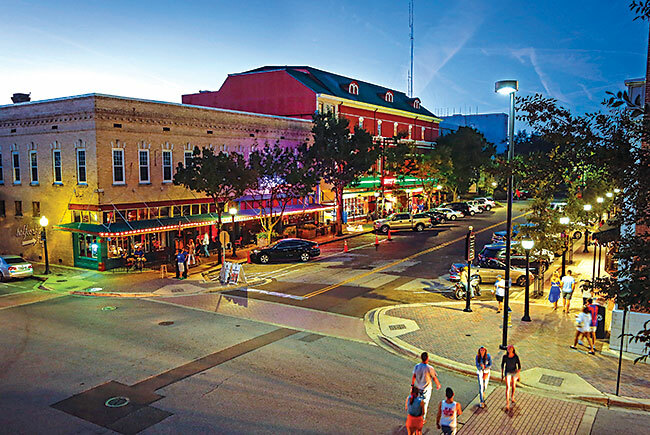 Foodies will love Downtown Gainesville’s assortment of restaurants and bars. Our friends at Visit Gainesville have a great list of eateries to get you started. From Asian fusion to local craft breweries to traditional Southern comfort food, you’ll certainly find whatever flavor you’re looking for, or discover something you never knew you would love! The arts are alive and well in Gainesville. Stroll through the free-admission Harn Museum of Art on UF’s campus, look for the 352walls outdoor murals painted by internationally renowned street artists, or spend the night and catch a film screening or live performance at the historic Hippodrome Theatre. There are plenty of accommodations in Gainesville to fit your needs and budget. Add the above suggestions to your trip planner and print a handy list for when you’re passing through Natural North Florida on I-75.